What’s the Project? 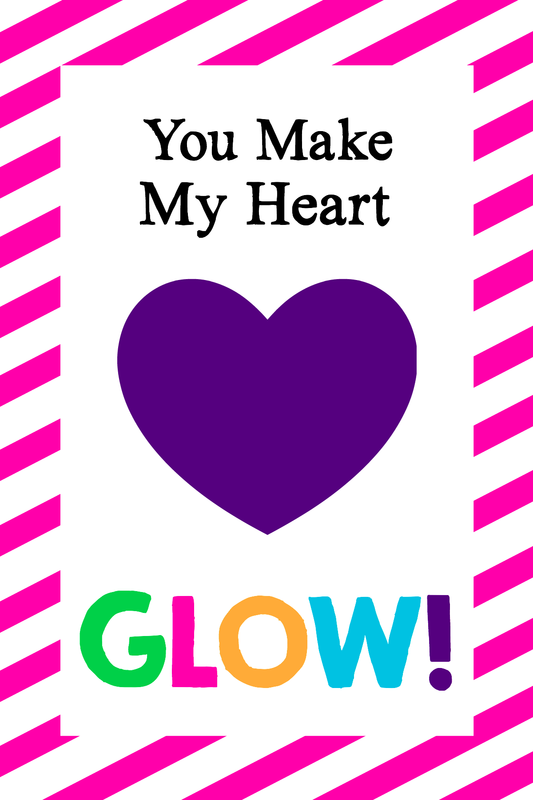 These cute You Make My Heart Glow are a fun and easy printable Valentine idea that is great for either gender! 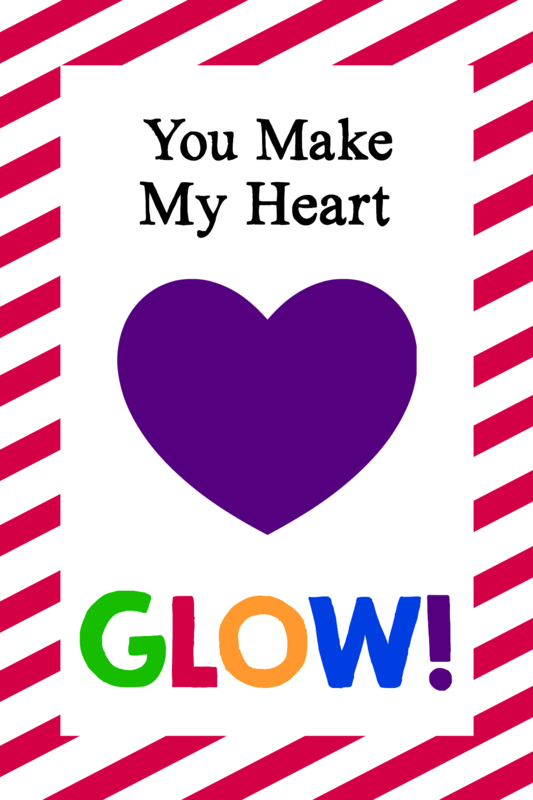 So easy, all you need to do is print the cards and add a glowstick and you’ve got a fun and simple Valentine ready to give. 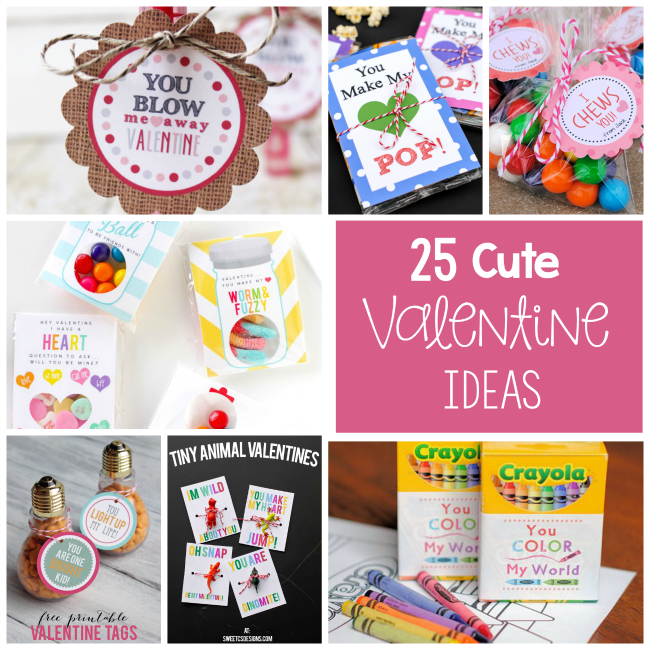 Last week I gave you an easy Valentine’s idea and printable-You Make My Heart Pop that was so cute and so fun to put together. My kids LOVE glow sticks! Do yours? That’s why I thought this would be a fun idea for Valentine’s day! And super cheap since you can get glow sticks in a pack of 10 for a dollar at most craft stores! Also, this is one of the easiest ideas EVER for mom. 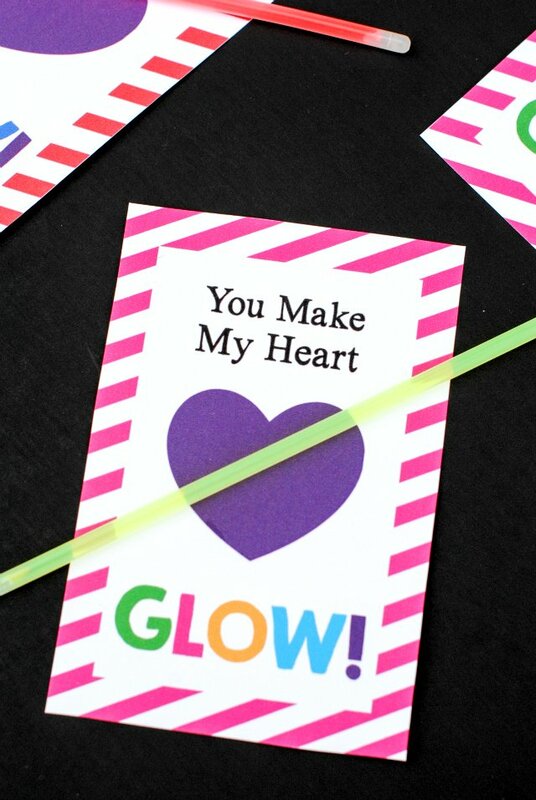 All you need to do is print out the cards and add the glowstick! Your kids can even help! I have created two different printable graphics for this. One is supposed to look more boyish and the other a little bit more girly. (My boys get a little squeamish about Valentine’s Day so I like to try to make it a little less “girly” for them. Here are two templates you can print. Each has 4 Valentine’s cards on it that you can cut out and add a glow stick to. Or here are the images if you just want to save these to your computer and print them out. 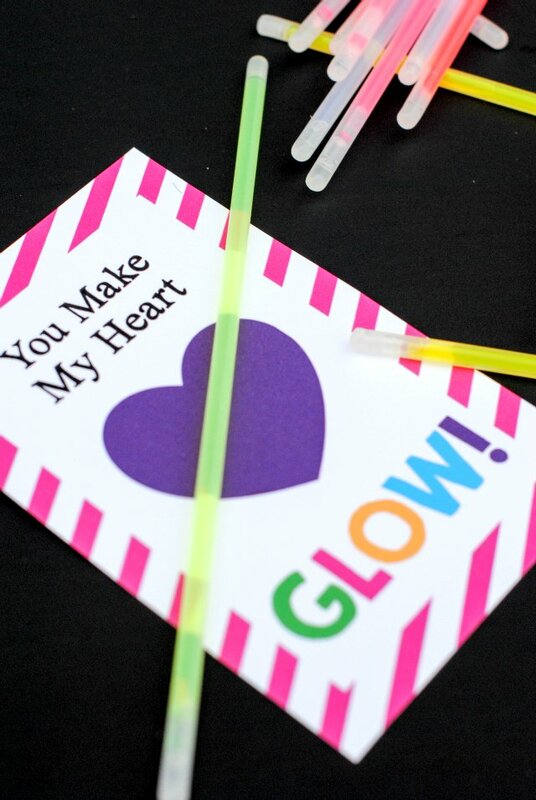 To attach the glow sticks just put one dot of hot glue in the center of the heart and stick the glow stick on. Make sure the glue isn’t burning hot when you attach the glow stick or you might melt the glow stick. Or you could use a piece of tape to hold it on. There you go! 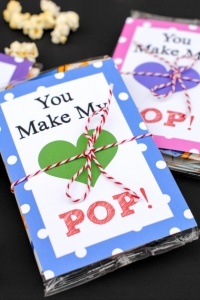 A super simple Valentine that the kids will love! I’m an adult and I LOVE glow sticks!! !